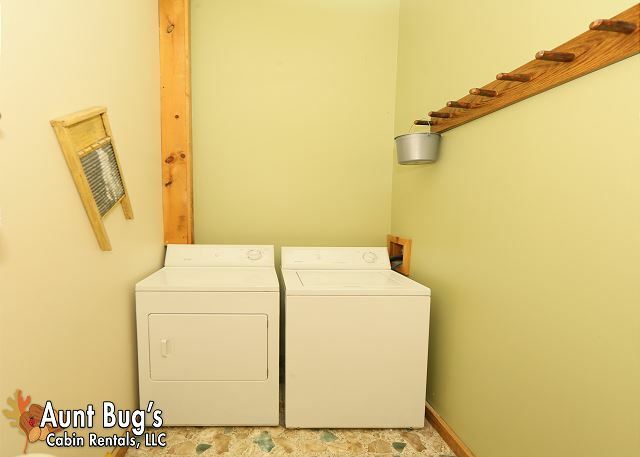 Location: Pigeon Forge, TN (less than 1 mile to Teaster Lane/Trolley Stop) FIREFLY HOLLOW Firefly Hollow is less than 1 mile to Teaster Lane, and a Trolley Stop. 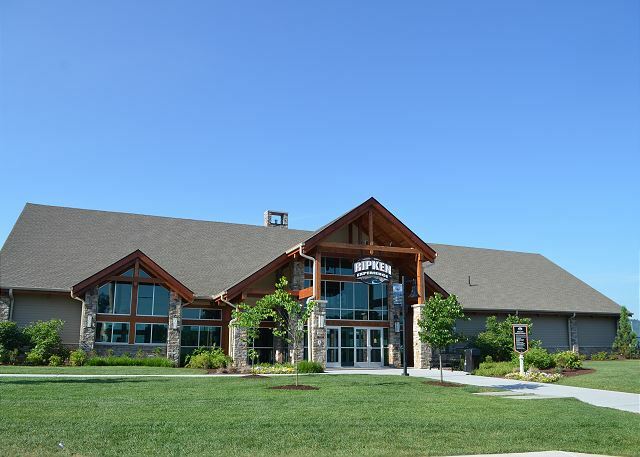 Do you want to escape to the Smokies, but still be within walking distance to the trolley stops or go shopping right around the corner? 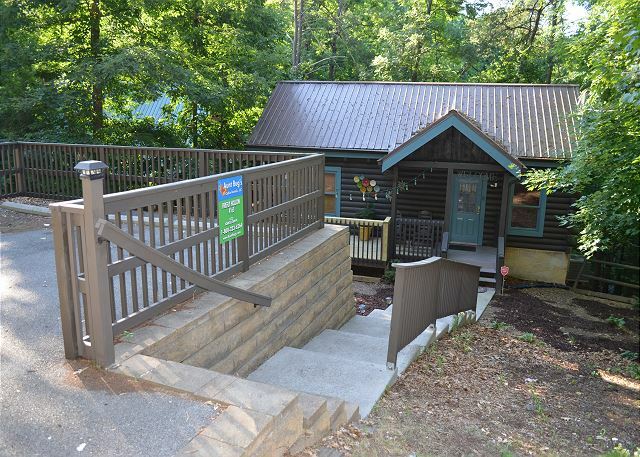 Located 1.5 miles from Dollywood, less than a mile from the downtown area of Pigeon Forge and within walking distance to the LeConte Convention Center and the Cal Ripkin Baseball Experience Complex, Firefly Hollow is a spectacular cabin in one of the best locations in Pigeon Forge. 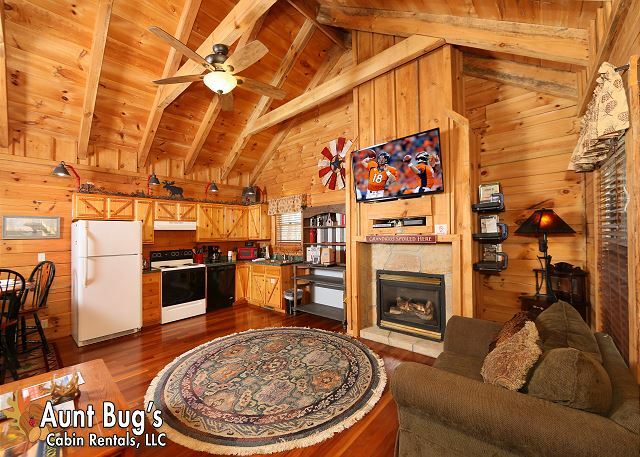 This amazing log cabin’s open floor plan for the living room, kitchen and dining area allow you to gather together and enjoy the family and friends. A fully equipped kitchen has everything you need to make breakfast in the morning or a complete dinner at night. The game room is complete with a pool table and an electronic 84 game table. 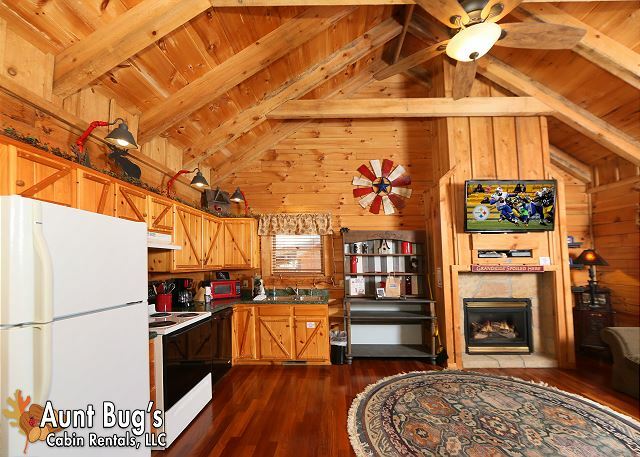 Two king bedrooms with two full baths give plenty of space for couples or families to share. Bunk beds in the game area and a queen size sleeper sofa in the living room provide extra bedding for larger groups. 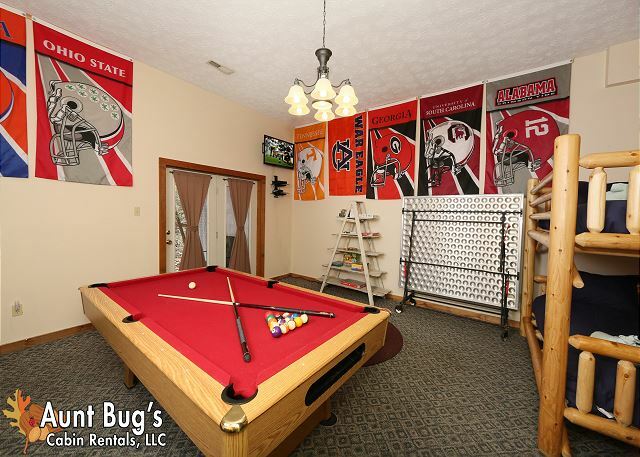 There are large screen TV’s in all rooms to let everyone view their favorite sports or shows. 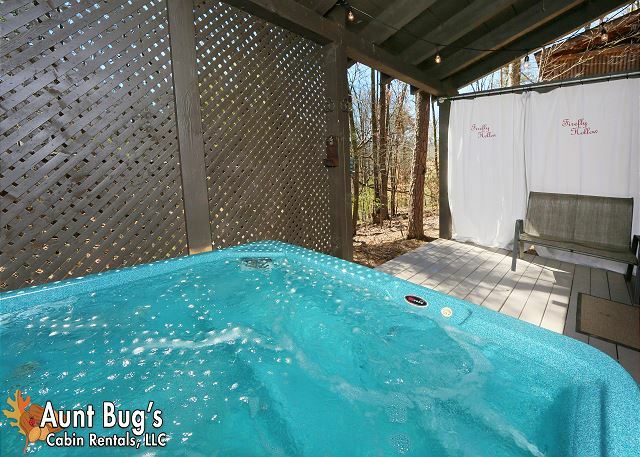 You can relax in the large private hot tub, surrounded by romantic lighting, secluded from neighbors with private screens. New outdoor furniture on the upper deck with a gas grill just outside the kitchen allow you to enjoy the peace and quiet of outdoors in comfort. 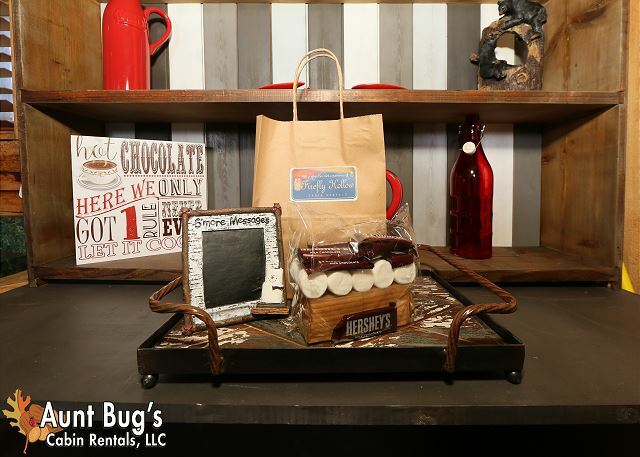 There’s also a fire pit area, perfect for roasting hotdogs or everyone’s favorite – Smores’(a free smores’ kit comes with your stay). Check out our virtual tour and video of property. 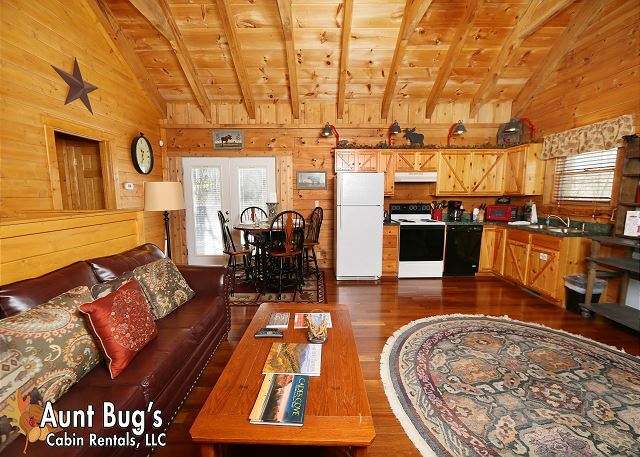 Whether you want non-stop action or the peace and quiet, Firefly Hollow is a great cabin choice. 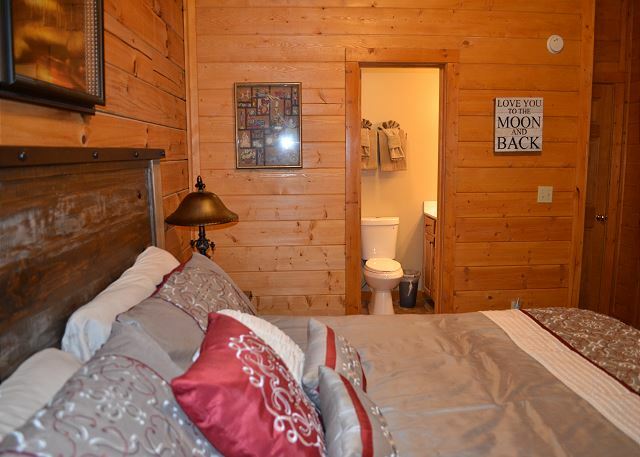 Plus, it’s a pet friendly cabin for your small pets. 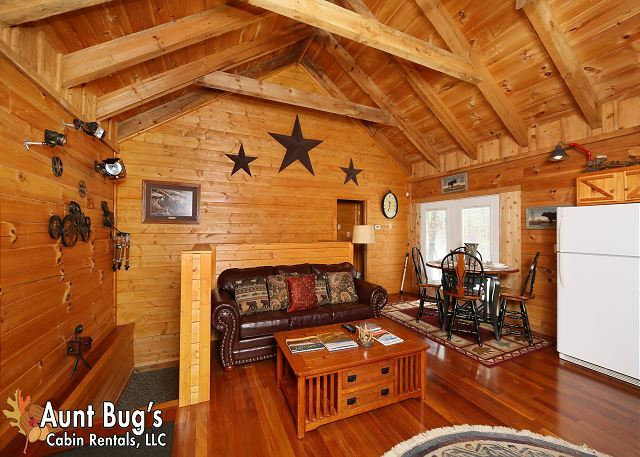 Call us today to reserve the cabin that has something for everyone! Price based on 4 adults. Additional adults are 12.50 daily.